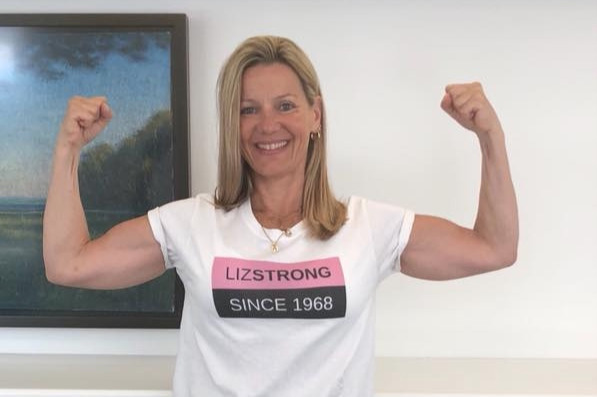 LIZSTRONG is a nickname given to Liz by a childhood friend, since she has persevered and survived 6 cancer diagnoses in 9 years. Liz is now facing her fifth recurrence and needs our prayers and financial help. 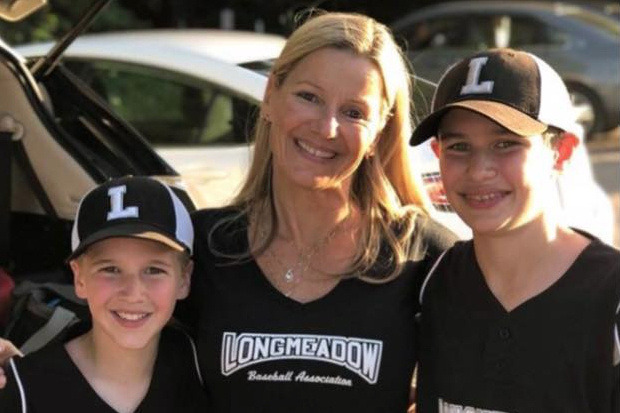 We have started this page to raise money for Liz and her boys in an effort to offset the long-term expenses of Stage 4 breast cancer. Please show Liz that we can all come together in support of her continued journey. LIZSTRONG In December 2008, I was first diagnosed with triple negative breast cancer, which is very aggressive. I had a double mastectomy after Christmas and started my first round of chemo on my oldest son’s third birthday in February. My youngest son was only 18 months old. Despite the aggressive surgery and treatment, I had my first recurrence only 6 months later. In October 2009, I had my second surgery and started radiation. In February 2013, my best friend took me to Massachusetts General Hospital, where I was diagnosed with SVC syndrome; a serious condition that results in death 99% of the time within two and a half years. This was my second recurrence and since my breast cancer had metastasized to my lung, it meant a devastating Stage 4 diagnosis - there is no Stage 5. As a single mom, 7 weeks of daily trips to Boston for radiation was grueling, especially since I was also undergoing chemo treatments. I had serious side effects during this time, including developing an allergy to my chemo drug, painful but temporary radiation damage to my esophagus and 2 blood transfusions. In October 2013, I was told the treatment was a success. Only two months later, in December 2013, I had my thirdrecurrence. After all that I had endured for eight months, the cancer was back. At this point, chemo was no longer a viable option since I had already received the two most toxic, yet effective treatments available, but I had almost immediate recurrences following both. I eventually joined a trial for a new immunotherapy drug in March 2014, which meant driving to Boston every 3 weeks for an infusion, indefinitely. As with any trial drug, there are numerous side effects raging from rashes to fatigue and even to death. Only eight months later, in November 2014, I had my fourthrecurrence. While still managing the side effects of the trial drug, my breast cancer had metastasized to my brain. Again, my best friend took me to Massachusetts General Hospital for immediate brain surgery. As devastated as I was to receive a two and a half year prognosis in 2013, it paled in comparison to my diagnosis of brain metastases. Triple negative breast cancer patients who develop brain metastases, typically only survive between 3-9 months. I continued to manage the side effects of the trial drug and driving to Boston every 3 weeks for my infusion. In September 2016, I was diagnosed with osteonecrosis in both hips, which meant both hips would eventually need to be replaced. Apparently, this is a side effect that can develop years after receiving chemotherapy. Shortly after having my first hip replaced in December 2016, I also underwent surgery to fuse two disks in my cervical spine due to a loss of strength in my right arm. While still driving to Boston every 3 weeks for my infusion (it’s been over 4 years), I recently received the diagnosis of my fifthrecurrence, on March 1, 2018. I am hoping my doctors can find yet another way to help me. As a single mom, fighting a life threatening disease, I have made a few attempts to return to work, but surviving my recurrences has always taken precedence. Obviously, the past five years have also been financially devastating. I try to be positive and keep a smile on my face, regardless of treatments, diagnoses or side effects. 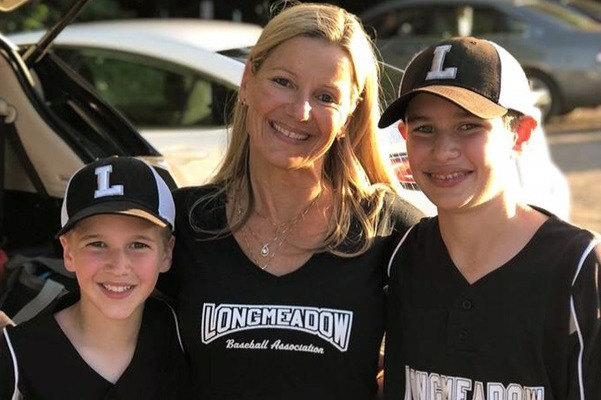 Throughout my years of aggressive, painful and debilitating treatment, I have worked hard to stay healthy, active and strong for myself and my two young boys. This is my tenth year of dealing with breast cancer and the havoc it was wreaked on my life. Amazingly to me, I am more determined than ever to do everything I can, not only to survive this recurrence, but I want to use every ounce of energy and resource I can find, to try to kick breast cancer out of my body forever. I simply want a sense of normalcy back in my life - family, health, career. Hi friends, Liz has just had yet another setback and is in need of our help again. Without getting into the medical details (Liz is in the process of figuring out her latest treatment options) she is facing some tough times and needs more support. Your outpouring has been AMAZING. She is so deeply grateful for the calls, meals, notes and endless ways we've all pitched in. Even a small donation now will help relieve some of the financial stress on this single mom. Thank you, and please “share” to spread the word.